Saturday, June 5, 1976, was a beautiful, sunny day in Eastern Idaho. People were going about their mostly agricultural business as usual. Little did they know that a silent, unannounced disaster awaited them. Four years earlier, the U.S. Government had begun construction on a large, earthen dam on the Teton River. The Teton Dam was one of several built during that time period using similar construction materials and design. In the spring of 1976, the dam was complete and the reservoir behind it was filling for the first time. As the spring runoff brought the water down the river, the water level in the reservoir was rising four feet per day. The water level was nearly to capacity. Only the relatively small emergency outlet works were in service at the time. The main outlet works and the spillway were not yet in service. Officials observed water seeping through the dam on Thursday morning, two days earlier. Such seepage, however, was not considered unusual for an earthen dam and no extra precautions were taken. At 7:30 Saturday morning, the seepage had become running, muddy water, suggesting there was a leak eroding the dam. Still not worried, no action was taken. By 9:30 in the morning, the dam featured a visible wet spot and water was spewing out and beginning to erode the face of the dam. Crews with bulldozers were sent in to repair the leak at this point. Media began to arrive to follow the story. By 11:15 in the morning, officials announced the need to evacuate downstream communities. The bulldozers were sucked into the widening gap in the dam and their operators had to be rescued by coworkers using ropes as they scrambled on foot to escape the disaster. 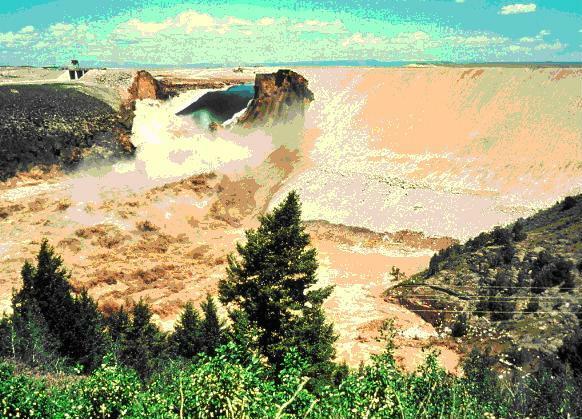 At 11:55 AM, the dam collapsed, sending its contents down the canyon toward the communities of Wilford, Sugar City, Hibbard and Rexburg, the latter being by far the largest. Teton Dam, June 5, 1976, by Eunice Olson. 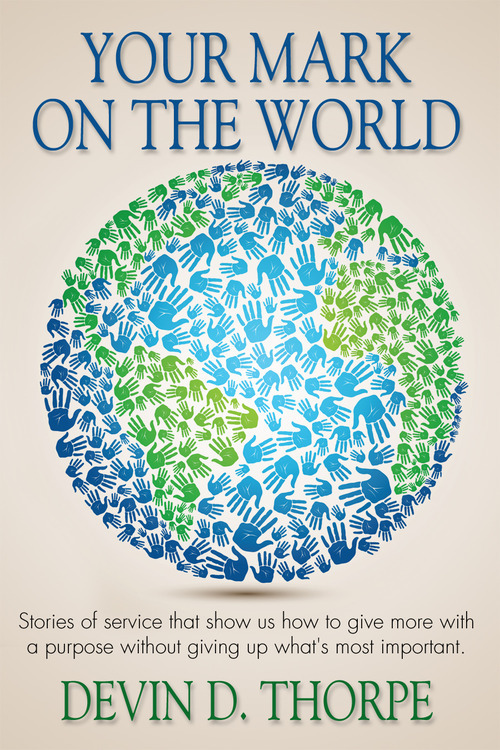 About this book: Your Mark on the World combines inspiring stories of ordinary people doing remarkable things to make the world a better place with practical advice to empower anyone to give more to a cause (charity, non-profit or social venture) without giving up a career or family. CLICK HERE to enter to win autographed copies of Your Mark on the World, by Devin D. Thorpe, as well as a $50 Amazon gift card! This post contains my Amazon affiliate link.